A complete, customizeable sign kit! 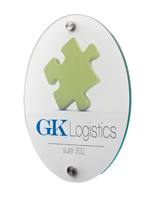 This acrylic oval door sign is manufactured from high quality materials to last in any setting. 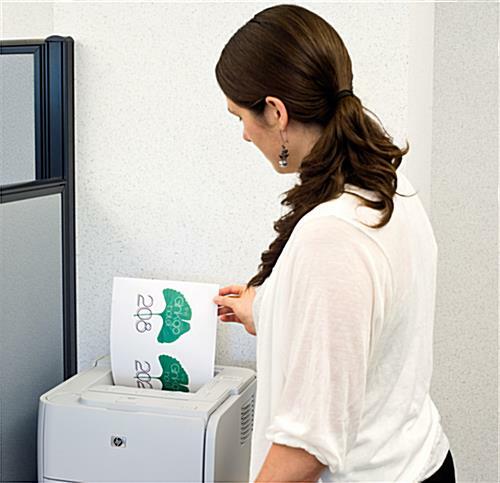 The office signage system is often used for creating name plates throughout buildings and departments, so visitors are able to locate the correct destinations. 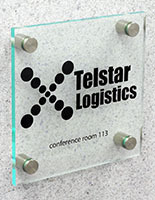 The door sign that has a clear design, otherwise known as a conference room display, is especially helpful for busy venues, such as university hallways, public buildings, and training facilities. 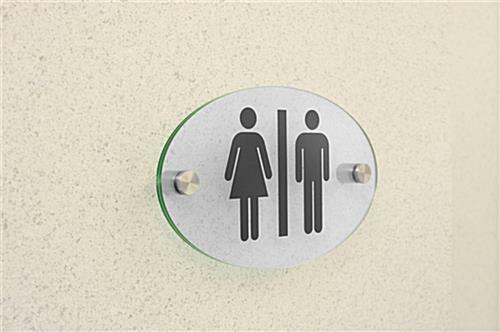 The personalized signage panel set is ideal for do-it-yourselfers because just about any design can be created with a personal printer. 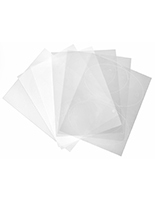 In fact, printable film sheets are enclosed with every order, so customers have complete control of their graphics. 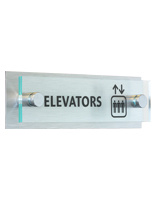 Mounting hardware and standoffs are also provided with each purchase, so the door sign can be installed in a matter of minutes. For high prominence, the assembly is commonly fastened to doors and walls. 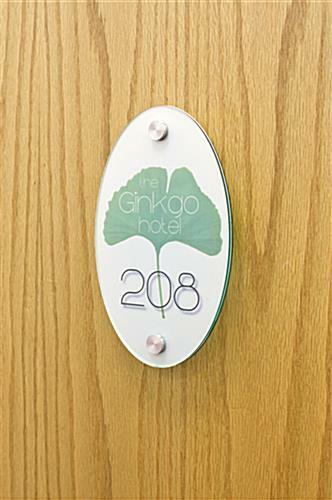 It is important to note, though, that many other solid surfaces will support the door sign, as well. The lobby directory panels are interesting in that they look like glass yet will last much longer. 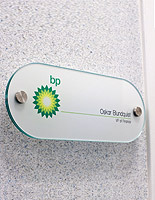 The oval door sign has stylish acrylic construction with green edges that accent surrounding areas and environments. 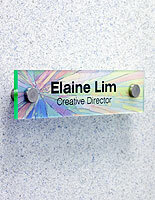 The name plates are remarkably cost-effective as a result of the makeup and can even be purchased in bulk quantities. 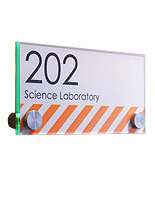 The wayfinding door sign includes both frosted and clear film that can be printed with a custom design. (Note: The film can only be printed with Color or B&W laser printers and photocopiers, not inkjet printers.) 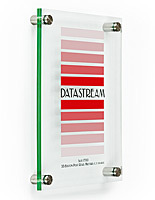 No matter which type of material is chosen, the final personalized signage project only the most professional image. When the door sign needs to be updated later on, customers simply use the remaining sheets. 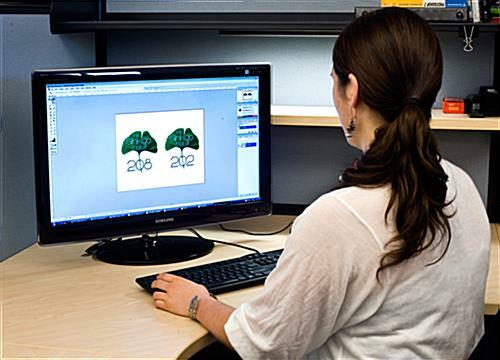 Templates can be downloaded below, which helps make the process of personalization go even more smoothly. After the custom name plates have been designed and printed out, they are placed between the paneling. 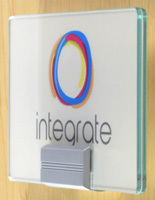 Then, the door sign is secured both together and to the wall with the included standoff hardware.